Mother’s Day Page Set 2018! Mother’s Day is only a couple of weeks away. This means preparing your business for a boost in sales and bookings, not to mention a new Mother’s Day page set to download! The new Mother’s Day page set is completely customisable so you can alter it as you see fit. Perhaps to suit your customer needs better and to meet your business requirements more accurately? It’s absolutely fine for you to use the images displayed on the example page set however, we suggest that you change them to show your own work. This will give a better example of your unique style and show clients exactly what they are investing in. We’ve given four offer ideas to inspire you (not all shown below). These include; Our Mum, Mum-To-Be, New Mum and Mummy and Me. We’ve included a few examples below! 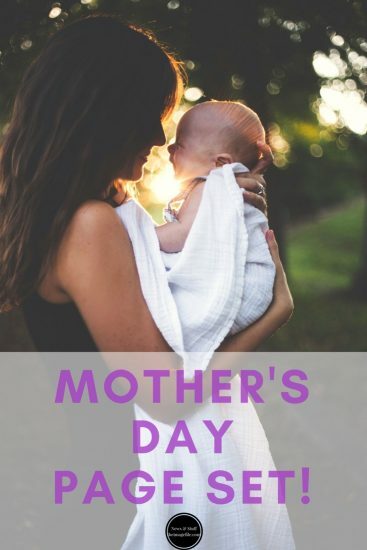 Simply click here to download the Mother’s Day Page Sets or check out our Mother’s Day help article. It’s never to early to start selling!